Farrokh Bulsara was born on this day in British Zanzibar, East Africa in 1946. He would have been 66 years old. He grew up in Zanzibar and India. He attended St. Peter’s School, a British-style boarding school in Panchgani. The students at St. Peter’s anglicized his name to Freddie. Although he hated some of the school’s sports — running and cricket — he like others — hockey & boxing, and he became the school champion at table tennis at 10. He preferred art and music. He took private piano lessons and enjoyed Bollywood musicals. At school he formed a cover band that performed rock and roll. He also joined the school choir and participated in several theatre productions. In 1964 when Freddie was 17 there was a great deal of unrest in Zanzibar, most of it directed at the British and Indian ex-pats. So Freddie and his family moved to Feltham, Middlesex, England. There he received a Diploma in Art and Graphic Design from the Ealing Art College. All the while he performed in bands. He also worked part-time selling second-hand clothes at Kensington Market and worked in a catering department at nearby Heathrow Airport. After stints with the bands Ibex and Sour Milk Sea he, Brian May (guitar) and Roger Taylor (drums) formed Queen. John Deacon rounded out the group in 1971. Freddie changed his last name to Mercury when he started Queen. As lead singer for the group Mercury’s range went from a low bass F to a high tenor F, 3 full octaves. 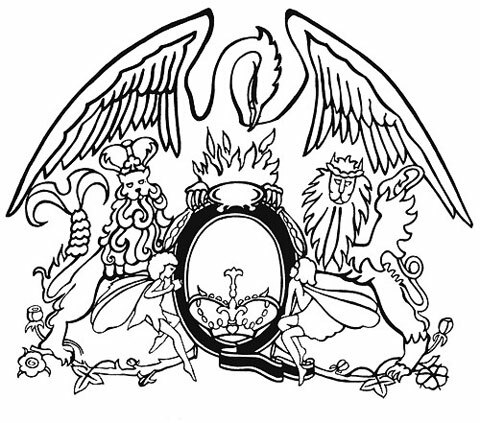 He wrote the lion share of the group’s songs including Bohemian Rhapsody, Killer Queen, Somebody to Love, We Are the Champions and Crazy Little Thing Called Love. He hated to do the same thing twice so he borrowed from a variety of genres when writing. So from the opera inspired Bohemian Rhapsody to the rockabilly Crazy Little Thing Called Love, Mercury proved just how mercurial he could be. He was an amazing show man on stage. Queen gave over 700 concerts worldwide. He produced two solo albums, Mr. Bad Guy and Barcelona and several singles. And he did solo side gigs including a performance with the Royal Ballet where he danced in font of a packed audience of ballet enthusiasts to orchestral versions of Bohemian Rhapsody and Crazy Little Thing Called Love. He received a standing ovation. Freddie co-wrote Love Kills for the re-release of Fritz Lang’s 1926 classic film Metropolis. 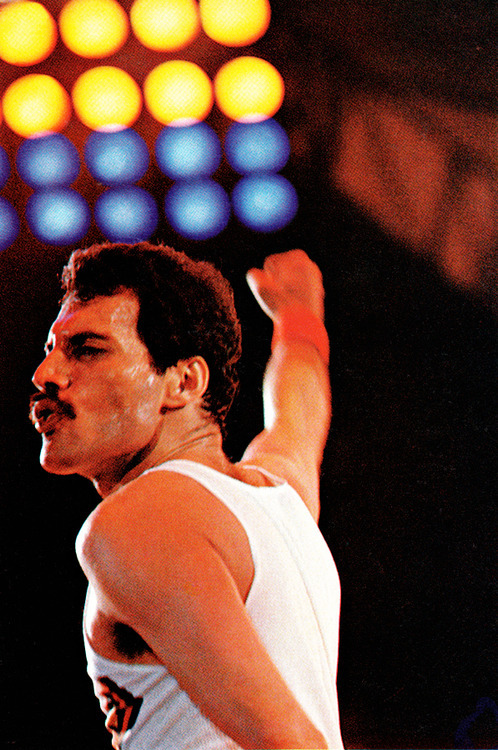 Freddie Mercury died of AIDS in 1991 at the age of 45. 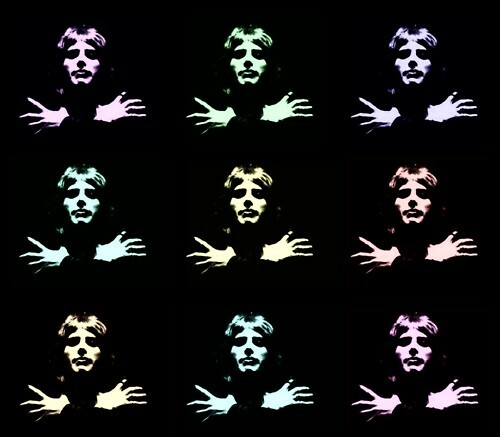 This entry was posted on Wednesday, September 5th, 2012 at 3:25 pm	and tagged with Freddy Mercury, Queen and posted in Art, England, Freddie Mercury, Music, postaday, Thought of the Day, Today's Birthday. You can follow any responses to this entry through the RSS 2.0 feed. what a talent … likely the best front man of all time … too bad his life was cut short by a dreadful disease… wish I had seen them in concert … many hours of listening to the old LPs … am glad to say my daughters can sing Bohemian Rhapsody & are fans of QUEEN! Agreed. One day I’m going to walk into an audition with Bohemian Rhapsody (sheet music) under my arm. I wonder how long they’ll let me sing — or if they’ll start to sing along. Bet they do. I didn’t realize he lived in Zanzibar until he was 17! Such a cool guy. Nice post! Yep, except when he was India for school he lived in Zanzibar with his family.